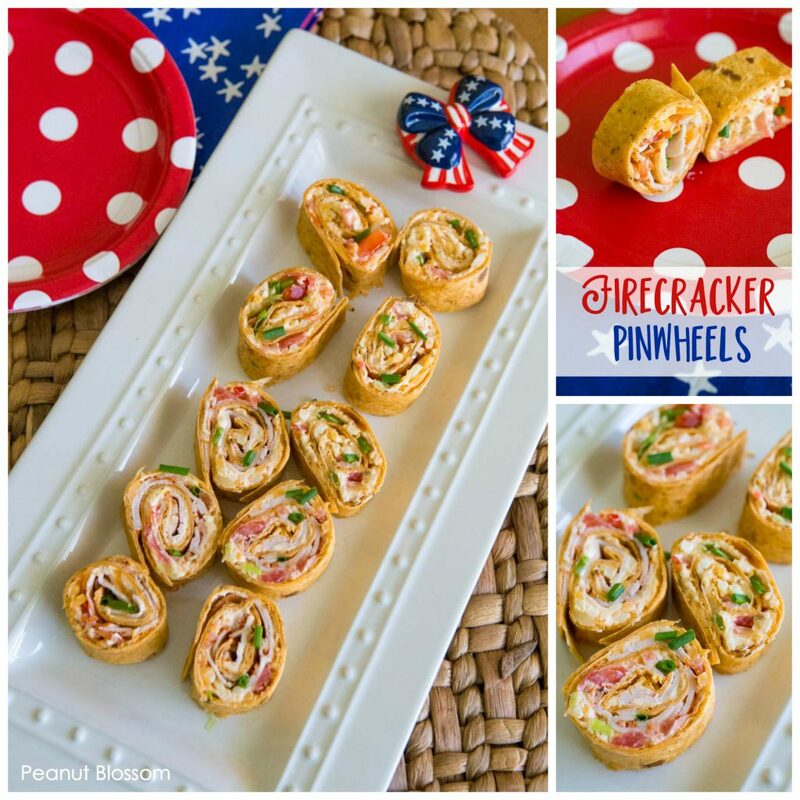 This spicy firecracker cream cheese pinwheel recipe will put a pop in your patriotic party! Perfect for Memorial Day, the 4th of July, or any fun American-themed party this summer. This post is sponsored by Borden® Cheese. All thoughts and opinions are our own. How are you celebrating the 4th of July this year? We’re heading to the beach for a little family reunion of sorts and I can’t wait. We’ll likely be grabbing our burgers from a beach side shack, but you can never have too many snacks and treats to keep around the beach house for people to get their nibble on. This year I needed a festive recipe that is perfectly portable. 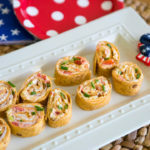 I decided to make this spicy Firecracker cream cheese pinwheel recipe because I can make them before we go, wrap them up in plastic wrap, stick them in the cooler, and just cut and serve once we get to the beach house. Keeping the red, white, and blue color palette in mind for the holiday, I wanted an appetizer that looked festive on the platter. I started with tomato basil wraps I found at the grocery store that have a fun red-ish hue. Then I blended softened cream cheese with a packet of spicy ranch seasoning to give the pinwheels a kick. 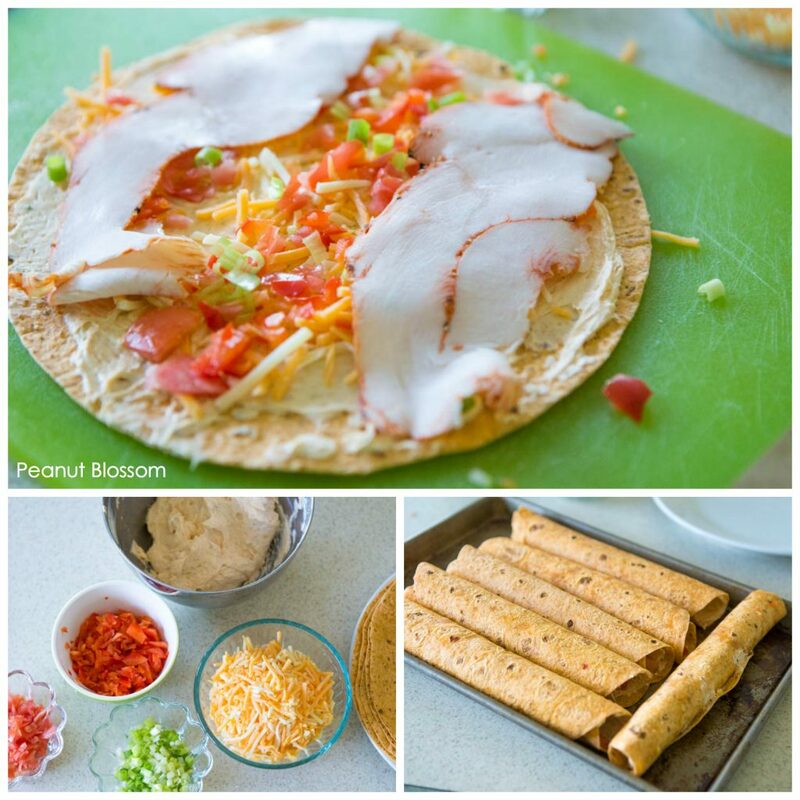 I topped each wrap with a generous handful of Borden® Triple Cheddar Cheese that has a mix of mild white cheddar, medium cheddar, and sharp cheddar. I love how the creamy taste of Borden® Cheese complements the spicy base. Then I sprinkled chopped red bell pepper, fresh tomato, and green onions over the top before placing a single layer of peppered turkey breast over the top. Finally, I tightly rolled up everything into logs and left in the fridge to chill before serving. It always makes me laugh when she’s begging me to make something again before we’ve even finished the first batch. Fajitas are one of her very favorite foods, so I take that as a compliment of the highest level! Borden® Cheese is the perfect cheese to use for these patriotic pinwheels because 100% of their proceeds go to American Dairy Farmers. This makes my midwestern girl heart very happy. You can find Borden® Cheese at major grocery stores and independent retailers all across the country. 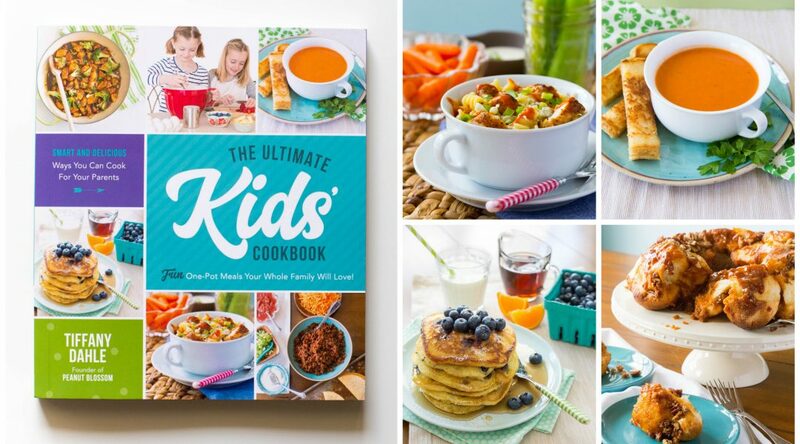 For more information about their products and for a store locator, be sure to visit BordenCheese.com or stop by Facebook or Instagram to see some awesome recipes in action. This easy appetizer is the perfect spicy make-ahead dish for patriotic parties. In a medium sized bowl, beat the softened cream cheese with ranch seasoning mix. 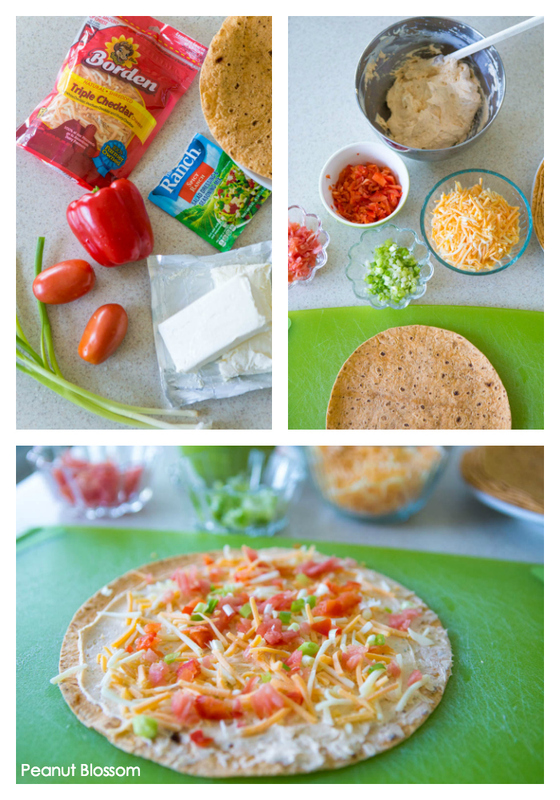 On each wrap, spread an even layer of cream cheese mixture over the whole surface. Top with 1/3 cup of shredded Borden® Triple Cheddar Cheese. 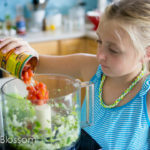 Sprinkle the pepper, tomatoes, and green onions over the top. 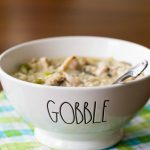 Lay 2-3 slices of turkey over the top and gently press down to remove the air pockets between all the veggies and shredded cheese. Tightly roll the wrap into a log and place on a cookie sheet. Repeat for the remaining 5 wraps. Chill in fridge for 30 minutes. Or, wrap in plastic wrap to store in fridge overnight. To serve: slice each log into 1 inch pieces and place on platter.